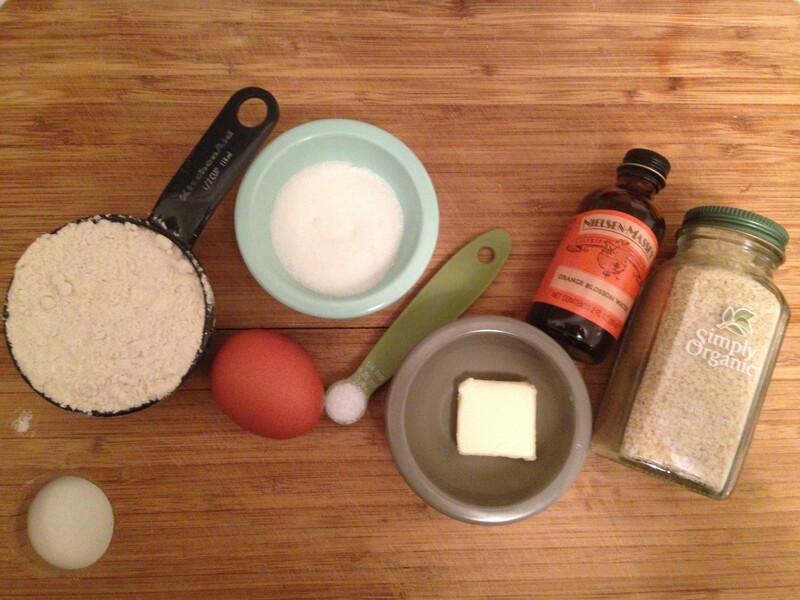 A quick note on the recipe before I dive into the flavor profile. 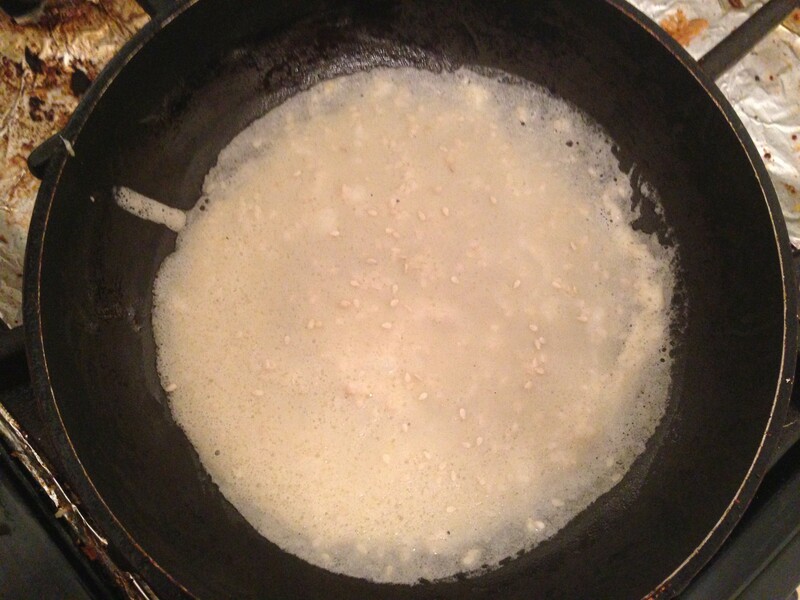 The original recipe calls for rice flour, but I just don’t think that rice flour makes for good crepes – it makes the crepes more prone to cracking (you can see in the picture that the crepes are breaking a bit). 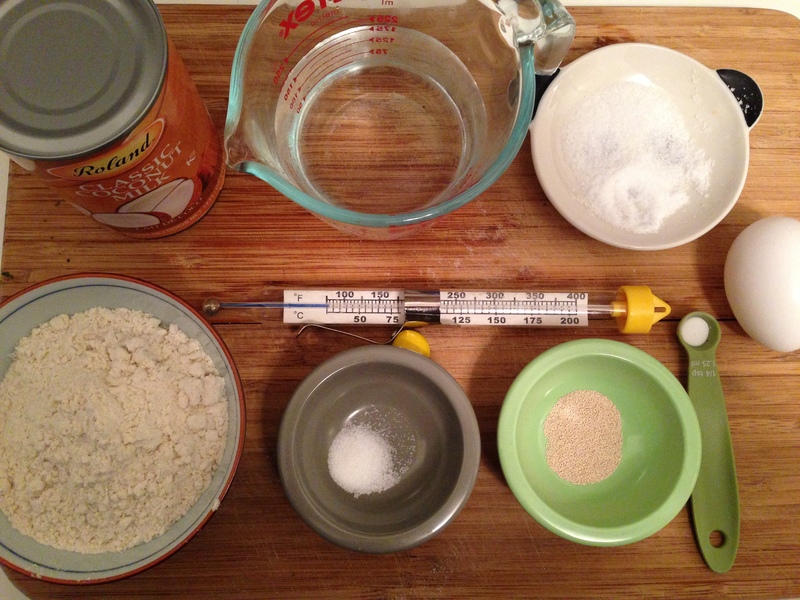 Anyway, that’s why my recipe calls for regular flour but feel free to experiment with whatever flours you like. Flavor-wise, the sesame flavor is subtle, but definitely there, and, since they get mixed into the batter and sprinkled onto the crepes, there’s definitely a nice crunch to the crepes. 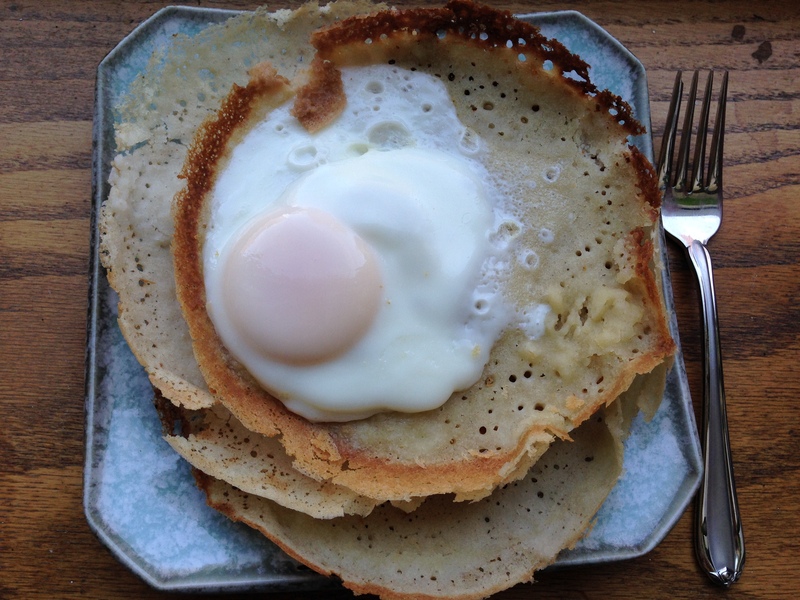 On their own, the crepes are lightly sweet, and the orange blossom water comes through just a bit. 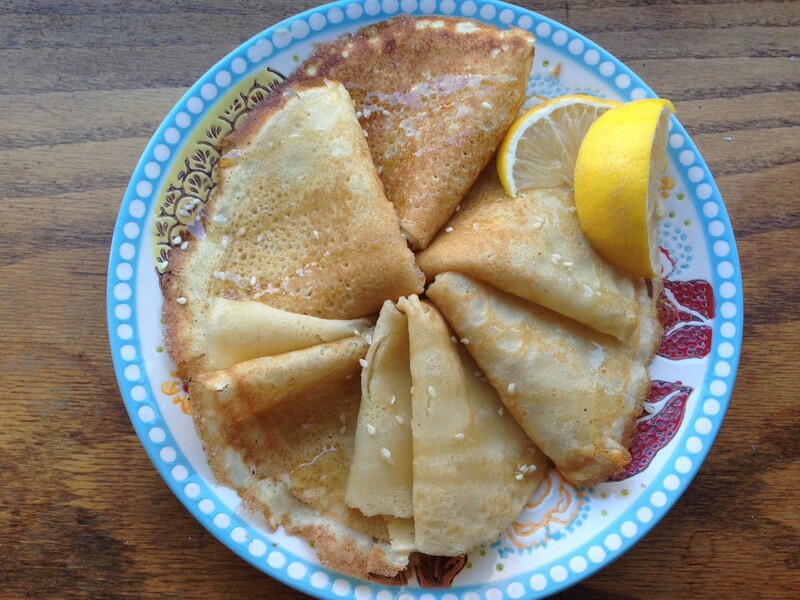 With the extra honey and lemon, these crepes are the perfect snack – I’m definitely making them again! 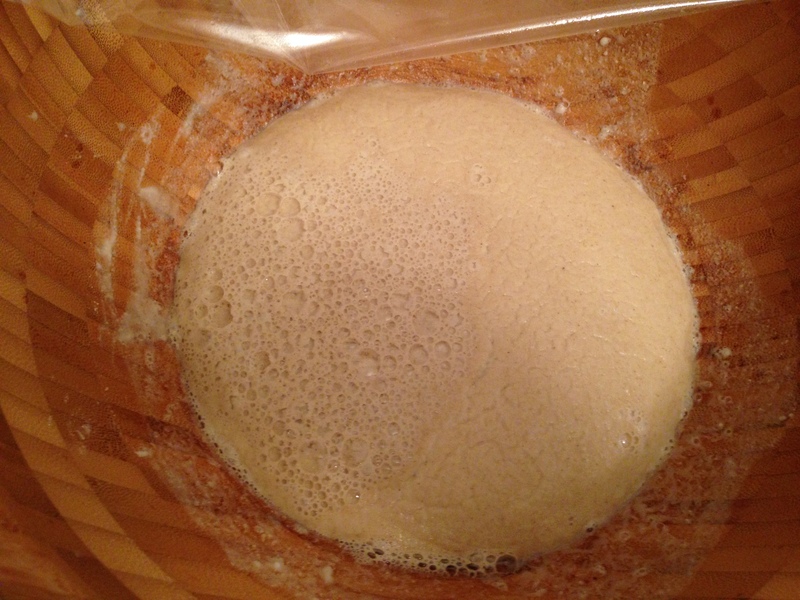 Sift together the flour, salt, and sugar. 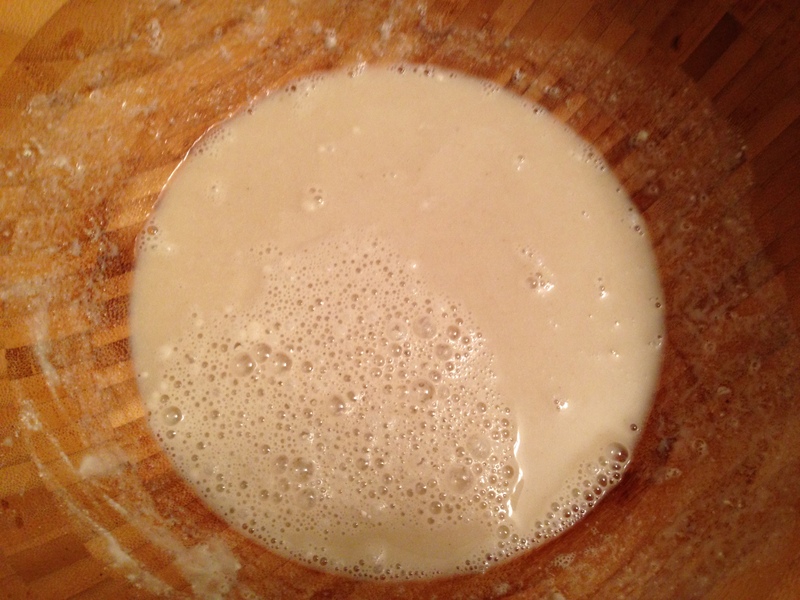 Whisk in the butter, milk, egg, and orange blossom water until you get a very smooth batter. Stir in the sesame seeds. 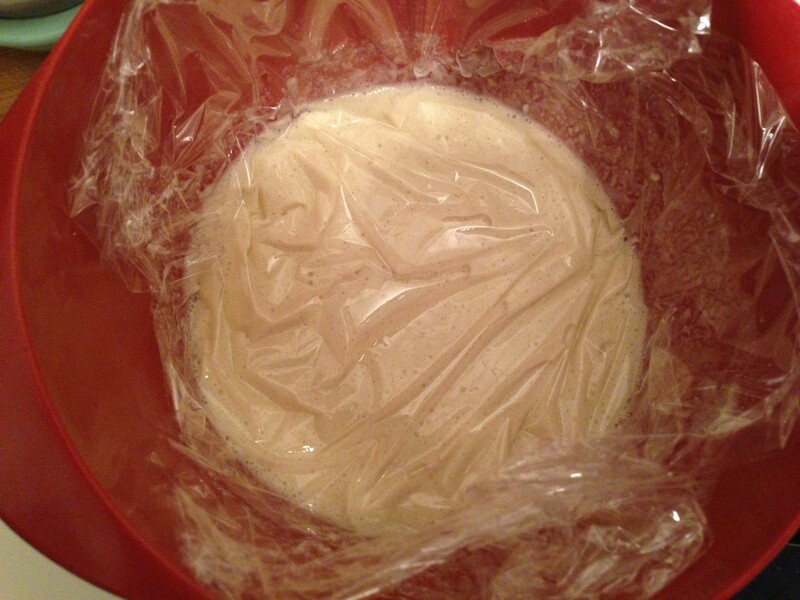 Cover the batter with plastic wrap, making sure the wrap touches the surface of the batter and put the batter in the fridge for at least 1/2 an hour. 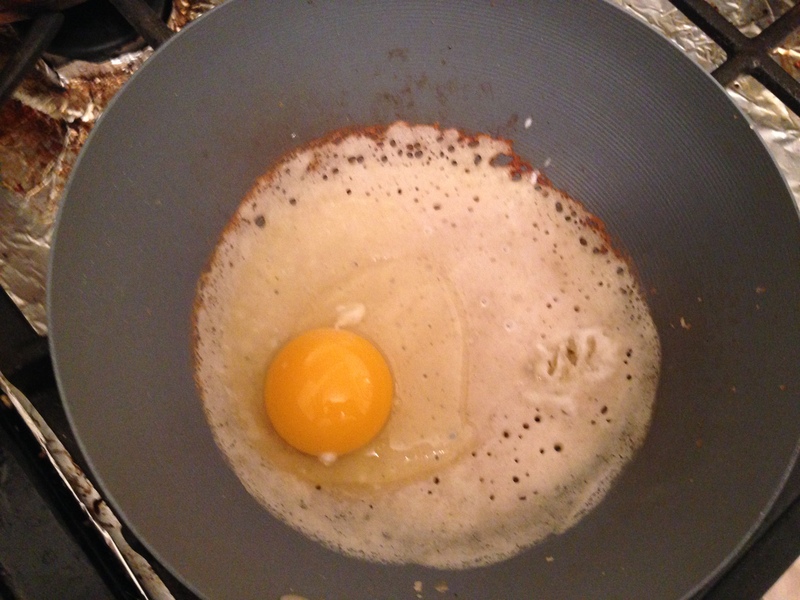 Lightly butter a nonstick pan and set it over medium heat. 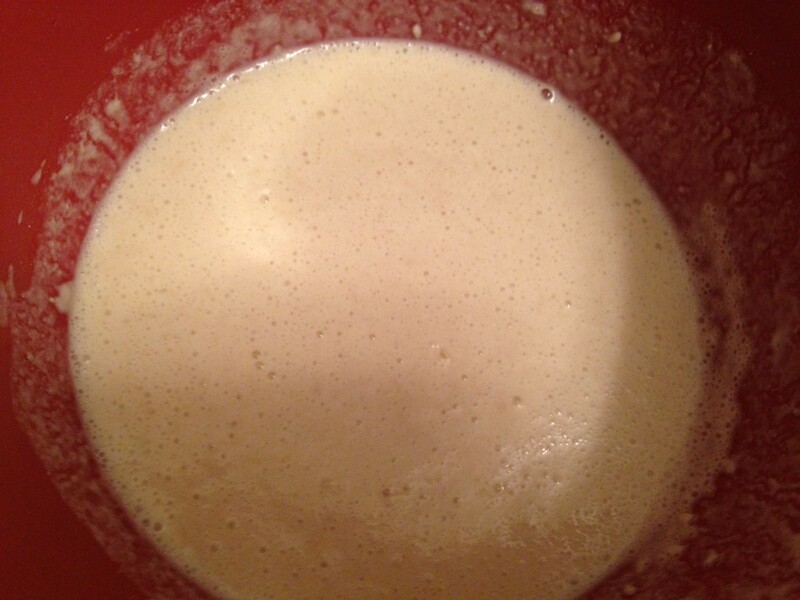 Giving the batter a quick stir, cook 2 Tbs of batter at a time. 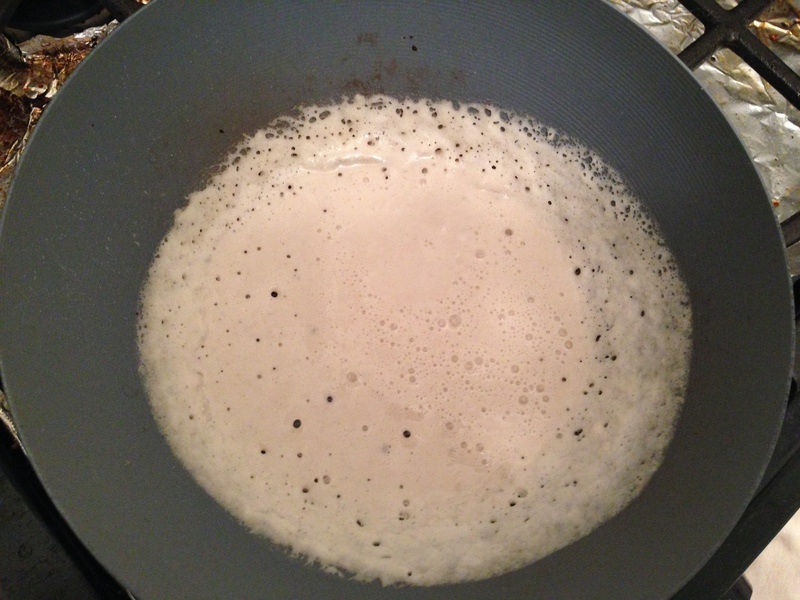 Swirl the batter around the pan so that you get a very thin crepe. 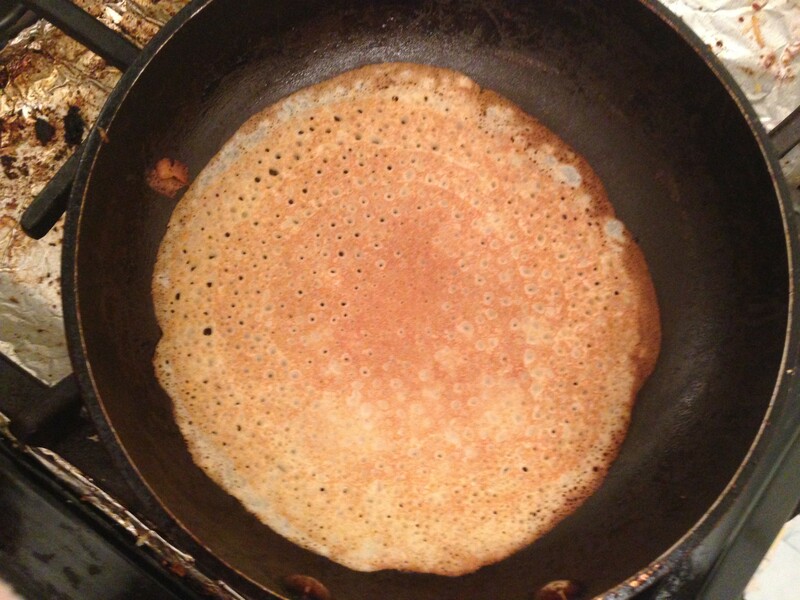 Sprinkle a few sesame seeds on top of the crepe before it dries. Cook for about 2 minutes until the edges are crispy. Flip and cook for another minute or so. 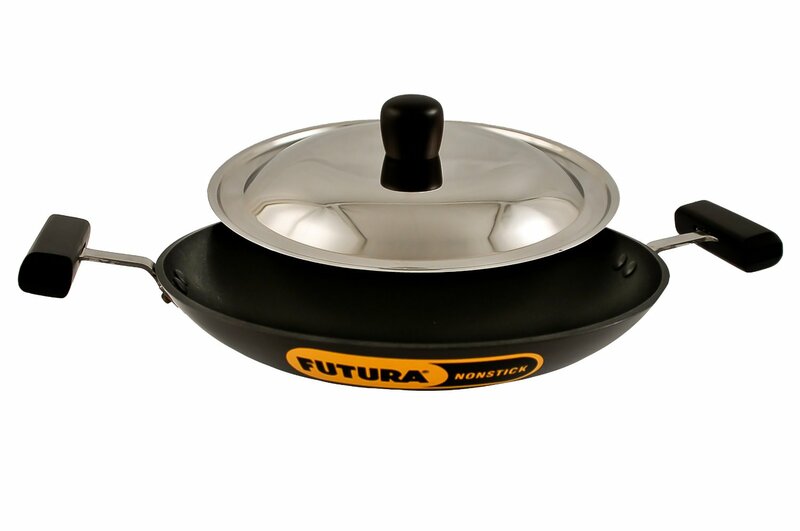 Continue to cook the crepes, stacking them up on a plate as you go. The residual heat will keep them nice and pliable. When you’re through cooking, fold them into quarters, and sprinkle them with honey and lemon juice. Do You Know What They Call A Radish In France? Radis. Bonus points if you can tell what movie quote I just butchered!! Happy Sunday Fancakes! 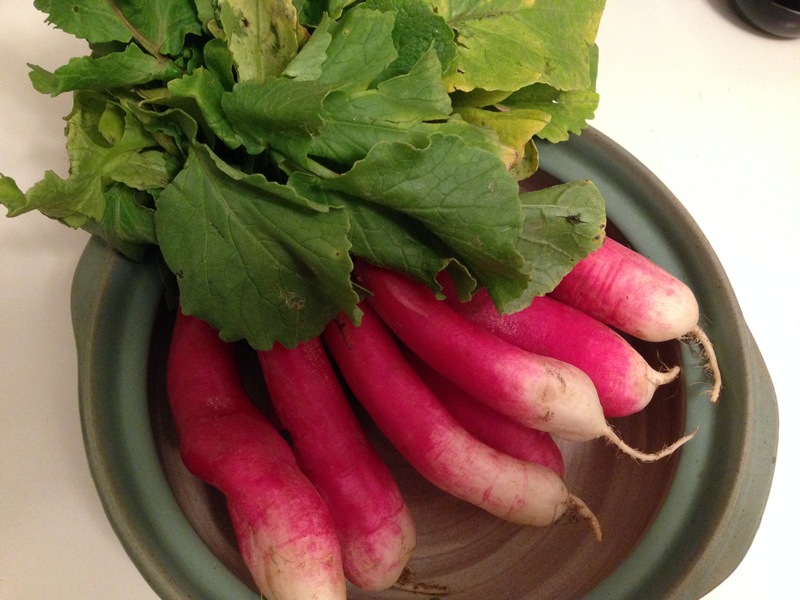 So, I was perusing the Farmers’ Market during my lunch break this week and I saw these BEAUTIFUL French Breakfast Radishes. I know, right? So cute. I’d never worked with these before but I had faith that my trusty friend Google could turn up some interesting recipes for me to work off of. 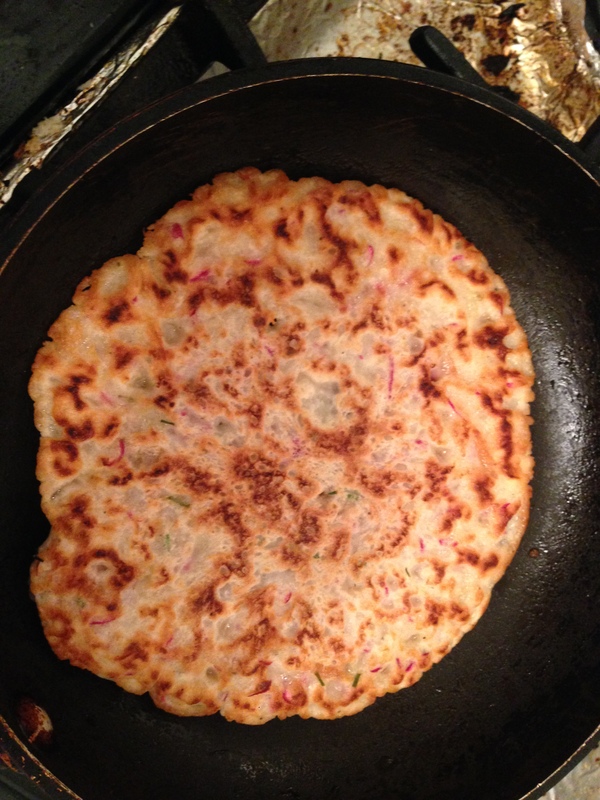 I ended up using this recipe for Savory Chinese Turnip Pancakes from The Woks of Life (great blog name, right?) and I thought they turned out pretty awesome. They’re sort of like the weirdly awesome babies of Scallion Pancakes and Luobo Gao (Chinese turnip cakes). I’ve never made Luobo Gao, but I have made Scallion Pancakes and while they’re delicious, they’re kind of a pain to make. Lots of rolling and re-rolling. 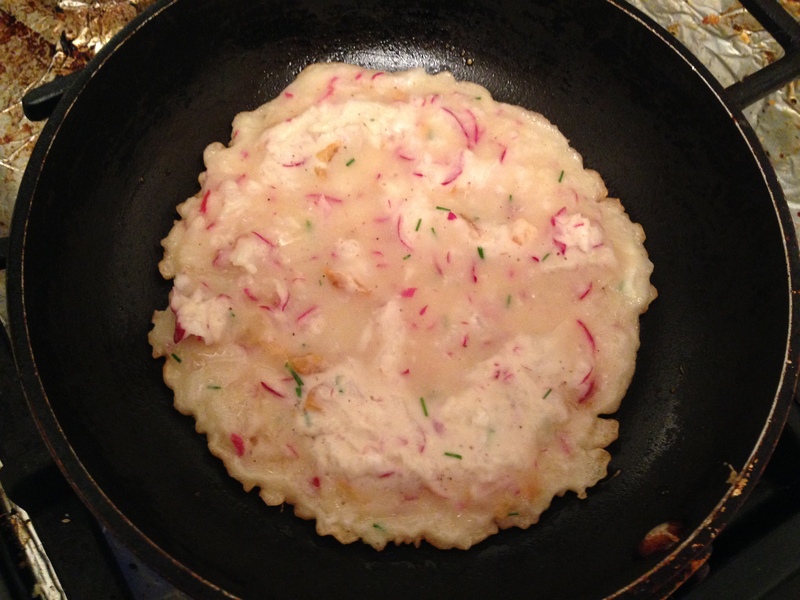 These Radish Pancakes were definitely easier to make, although they take a little bit of time since each pancake spends about 10 minutes in the pan all together. 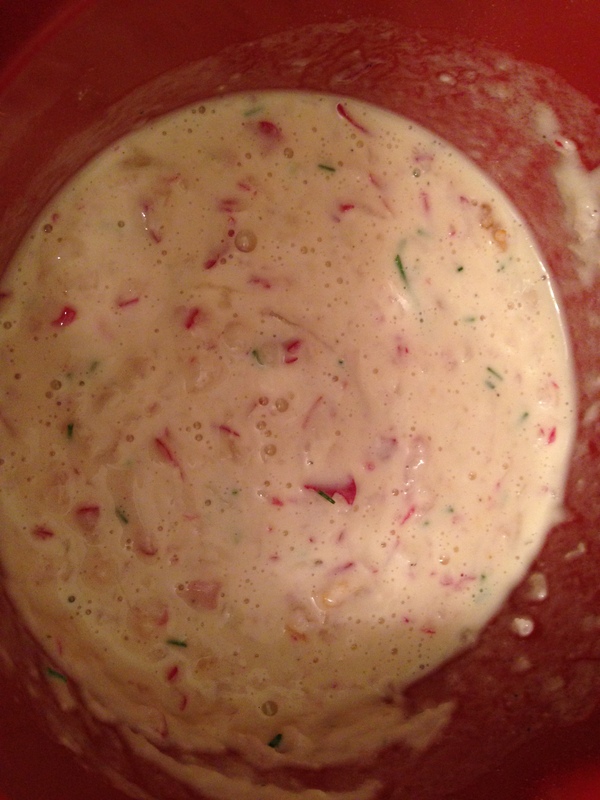 The original recipe calls for a couple Asian ingredients (dried shrimp and Chinese sausage). 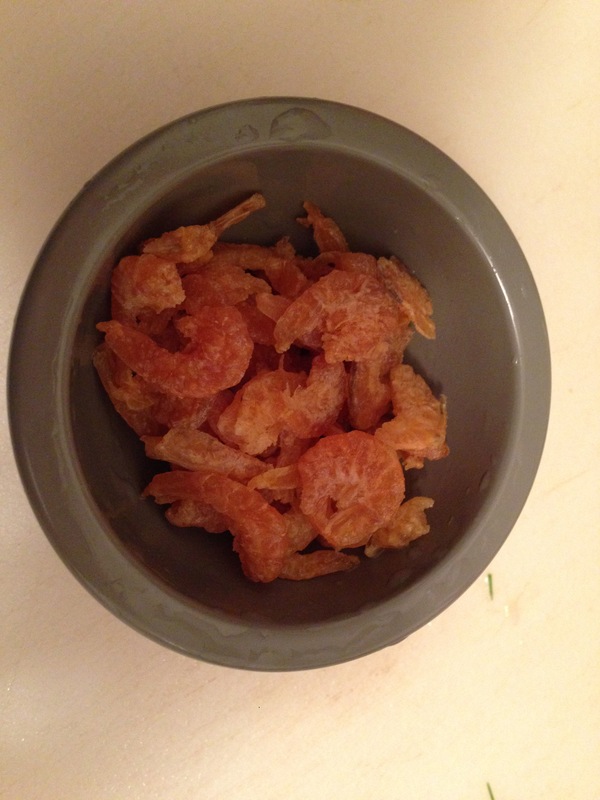 I happened to have dried shrimp in the fridge, but it’s not a big deal if you don’t. Also, I didn’t have any Chinese sausage (or thick cut smoky bacon, which the original recipe recommends as a substitute) on hand so instead I just cooked the pancakes in some bacon drippings that I save whenever I make bacon…people do that, right? 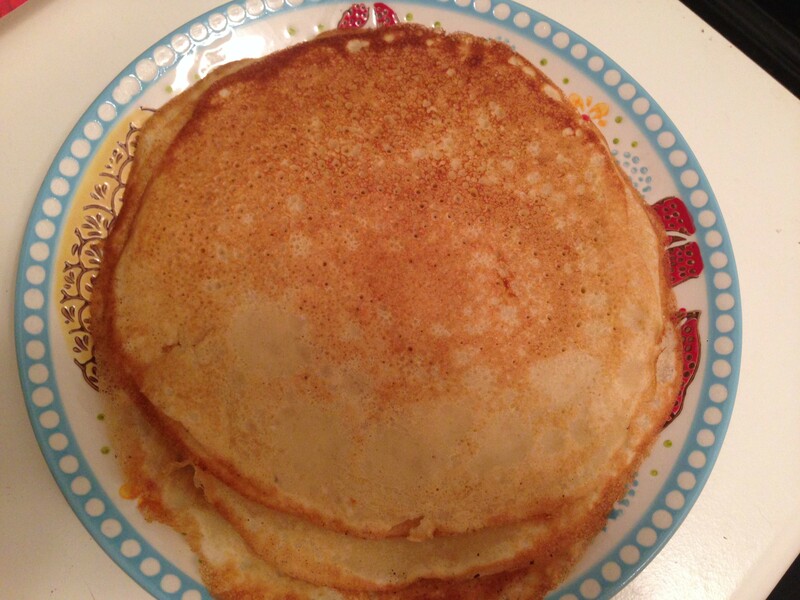 The pancakes are nice and crispy on the outside but soft on the inside…almost like a really thin hash brown. They’re a little plain on their own, but with the simple dipping sauce, they get pretty addictive. I basically had a plate of these for dinner. And, since you cut up the pancakes into wedges, it gets hard to keep track of how many you’ve eaten…which I’m totally fine with. Grate the radish, chop the chives, and roughly chop the dried shrimp (rinse the shrimp under warm water first to slightly soften them up). 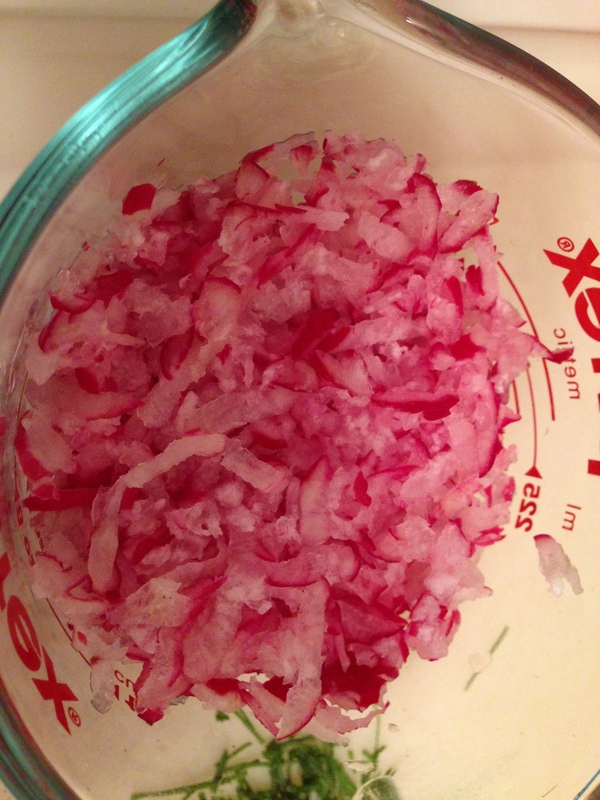 Add these 3 ingredients and all the rest into the grated radish and whisk well. Heat a nonstick pan over medium heat and add 1 tsp of bacon drippings to the pan. 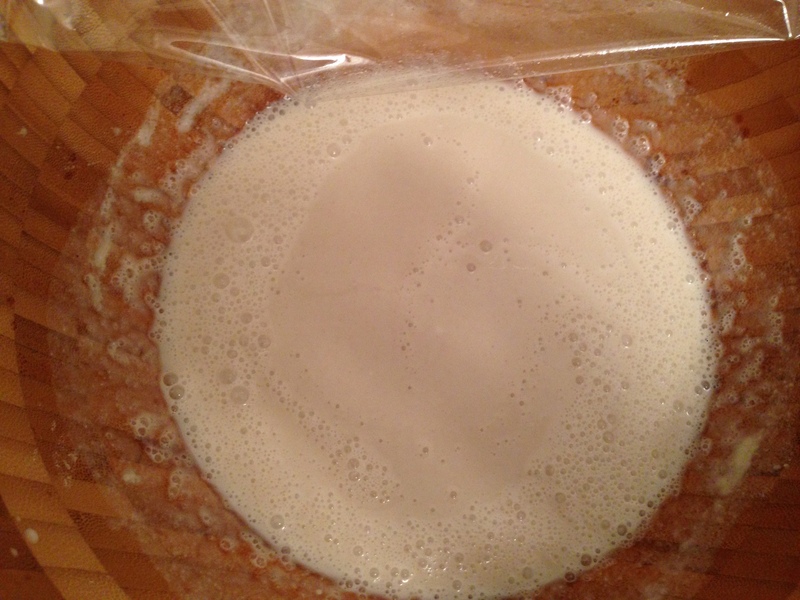 Cook 1/3 C batter at a time, spreading the batter out into a thinnish pancake once you add it to the pan. Cook for 4 minutes. Flip again and cook for 1 minute. 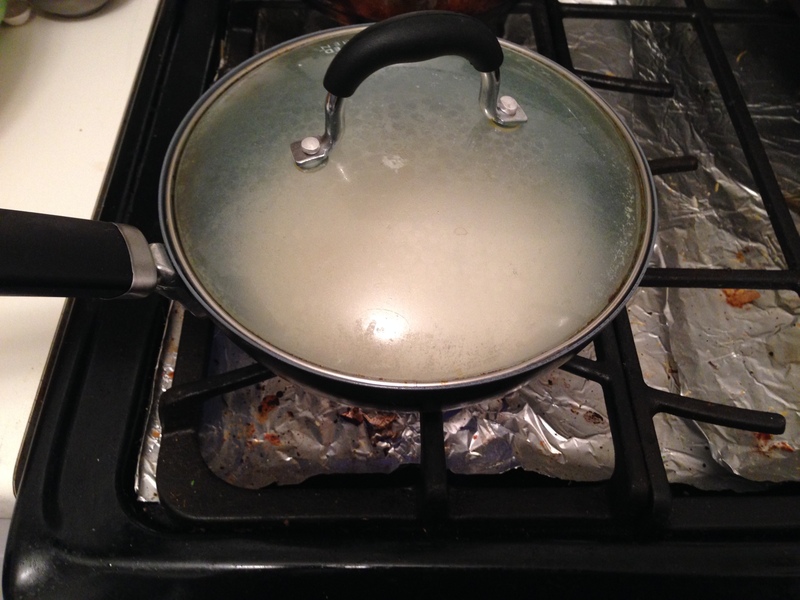 Then, flip one last time and cook for 1 minute (so you’re cooking each side twice overall). 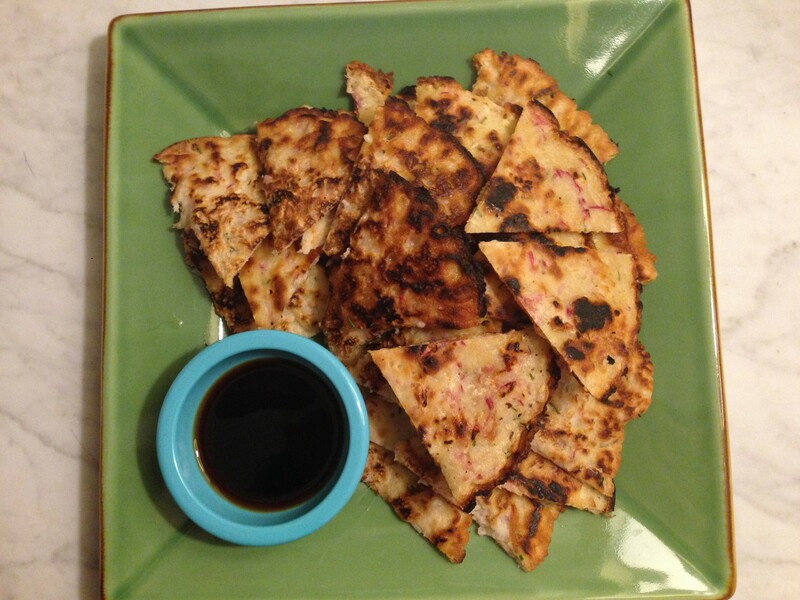 Slice the pancakes into wedges and serve with the dipping sauce!